End your week with a wonderful seafood experience! Join us for Seafood Night at Fayrouz Restaurant and redefine your dining experience with a lavish spread of seafood buffet offering the freshest local catch –tiger prawns, king crabs, fresh Lobster, mussels and more. Remember to save some space for our sumptuous desserts! 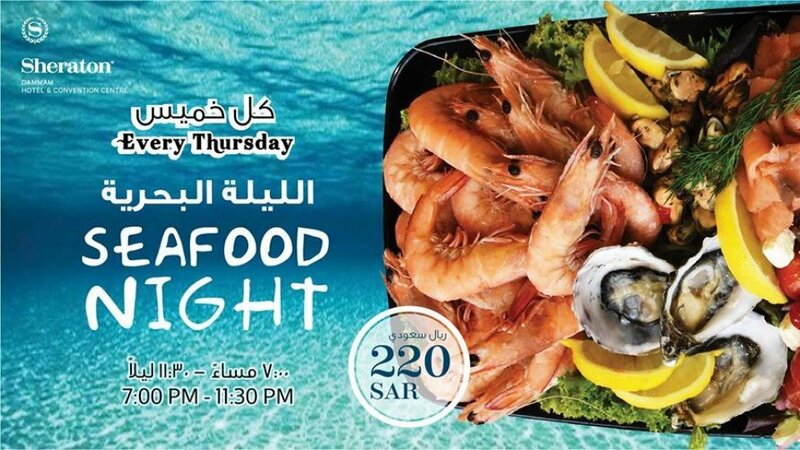 Every Thursday from 7:00 pm to 11:30 pm for only SAR 220 per person.